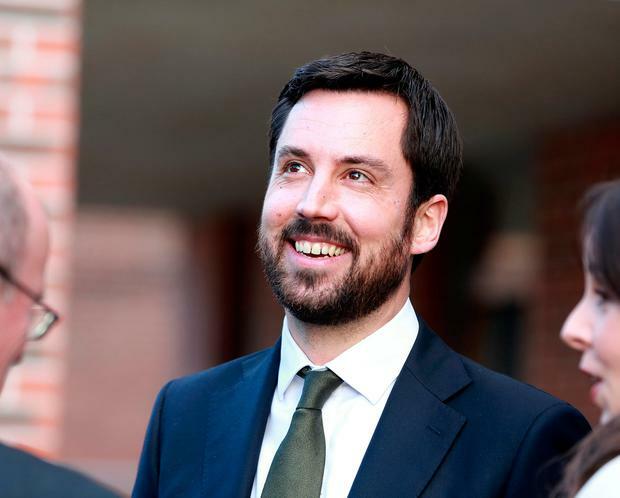 The problem of homelessness will never be completely eradicated, Housing Minister Eoghan Murphy has said. He also described a previous promise by the Labour Party to end homelessness as "very irresponsible". In an admission likely to create significant criticism from Opposition TDs, Mr Murphy said there "will always be people who will not be able to find shelter on a given night". He added: "There will always be people whose circumstances, through no fault of their own, means they need the support of community services. "It might be a one-night bed, it might be a six-month bed, it might be something longer. That's why we as a Government will always have the supports in place," he said at Fine Gael's national conference. Mr Murphy insisted the party's candidates will "tell a positive story about what we are doing" in the run-up to the local and European elections. Almost 10,000 people, including 3,000 children, are in emergency accommodation. "We are going to continue to face a crisis in homelessness. And we are going to continue to face a challenge of large numbers of people in emergency accommodation until we have built thousands and thousands of more homes," said Mr Murphy. He criticised other parties for trying to make a "complex" situation sound easier than it is. "I think it was after Jonathan Currie died, I think the Labour Party committed to ending homelessness by 2016, which I think was very irresponsible at the time because it's an incredibly complex challenge," Mr Murphy said. The promise was actually made by Labour's Jan O'Sullivan in 2013, more than a year before Mr Currie died in a doorway near Leinster House. The Labour Party was in Government with Fine Gael at the time and vowed to eradicate long-term homelessness by the centenary of the 1916 Easter Rising.